As much as I love the pink blush on my face due to winters, I hate the early morning confusion of what to wear at work. Honestly, all of us would like to sneak underneath a puffer coat, but duties first! Winter work outfits for women can be daunting, the challenge of looking sharp yet warm isn’t that easy. So when the temperatures drop, our OOTD decisions tops! Also, thanks to the air conditioners at the office, which makes it too chilly to survive on office blazers. 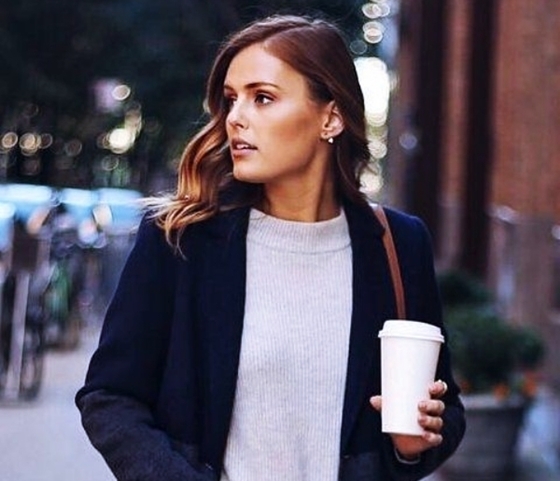 To keep you warm and stylish, these are winter work outfits for women. Winter is not supposedly for turtleneck top with jeans, all days a week. Which is why, to break the monotone and the horror of making an office uniform, we start layering. Layering outfits is a chic and comfy way to stay warm and stylish. Don’t let our wardrobe suffer, that means, your summer outfit rot under the cardigan pile. Combine and make perfect winter work outfits for women. Skirts are more popular in winters because of their versatility and cuteness. It can just match with any layering options. Pick any silhouette and skirt type, you can nail it. Are you thinking, you can’t stand chilly winds gushing pass your legs? Not to worry, wear full-length stockings, to rescue yourself! keep your hairstyle game strong and be ready to flaunt in the office.